Qinghui enjoys a broad-based commercial litigation practice with specific focus on banking and financial services-related disputes and litigation, as well as employment-related disputes and advisory matters. She has been listed as a Leading Lawyer for Dispute Resolution & Litigation in Asialaw Leading Lawyers (2018), and as one of Singapore’s 70 most influential lawyers aged 40 and under (Singapore Business Review, 2016). 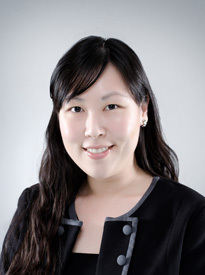 She has advised and acted for financial institutions (particularly banks and insurers) in a variety of commercial disputes and claims before the Singapore courts (at all levels, and including the Singapore International Commercial Court), as well as in arbitration. On the employment front, she regularly advises and represents both employers (ranging from local to foreign companies and MNCs) and employees (particularly C-Suite/ senior management employees) on breaches of non-solicitation and non-competition clauses, restraint of trade issues, clawback of compensation, mis-use of confidential/ proprietary information, constructive or wrongful dismissal, discriminatory practices etc. She is also often called upon to assist companies and employers in managing employee complaints, investigations, and termination exercises, amongst others. Qinghui was also previously appointed as amicus curiae under the Supreme Court’s Young Amicus Curiae Scheme, a scheme designed to appoint promising young advocates to assist the Singapore courts in cases involving novel or cutting-edge issues of the law. She is committed to the pro bono cause, and has been continuously helping out at legal clinics ever since her graduation from law school (where she was consistently placed on the Dean’s List). She is also effectively bilingual. Acted for a bank in successfully recovering sums owing under a guarantee in a cross-border dispute involving issues of Singapore and French law. Advised and assisted an insurer in a claim for false and misleading representations and unauthorised use of the insurer’s name and logo in marketing and advertising materials. Advised and assisted an insurer to successfully recover monies from its former agents under certain clawback provisions upon termination. Acted for a bank in successfully defending a claim of knowing assistance and alleged breaches of tortious and fiduciary duties amidst a dispute amongst members of a wealthy Indonesian family over monies held with the bank. Acted for an insurer in an SIAC arbitration involving a dispute over the acquisition of an insurance company. Acted for a bank in successfully resisting a claim by its customer alleging breach of fiduciary, tortious and statutory duties in the management of his account held under the Financial Investors’ Scheme which was subsequently upheld by the Singapore Court of Appeal. Acted for a bank in a dispute over alleged wrongful trading and validity of margin calls and successfully obtaining summary judgment against the investor. Advised and assisted a ship owning company on a mass retrenchment exercise. Acted for a Switzerland-based asset management company in defending a wrongful dismissal claim by its chief executive officer, and securing a favourable commercial settlement. Acted for a Singapore company against a fraudulent employee to investigate and recover misappropriated monies and successfully obtaining a freezing injunction against the employee. Acted for a wholly owned subsidiary of a major logistics company against an errant employee in a claim for breach of restrictive covenants and successfully obtaining a restraining injunction against the employee. Acted for a minority shareholder against the majority shareholders of a major frozen food wholesaler and distributor in a minority oppression suit to achieve a favourable commercial settlement. Acted for a Hong Kong-listed conglomerate against its joint venture partner in an ICC arbitration in a dispute involving a sewerage and waste treatment plant project. Acted for a major ready-mixed concrete player in Singapore in relation to claims arising from the 2007 Indonesian government’s ban on import of sand into Singapore, and successfully enforcing a claim involving breach of a settlement agreement which was subsequently upheld by the Singapore Court of Appeal. Acted for the majority shareholders of a local company in the business of manufacture and supply of motor vehicle parts in defending a minority oppression claim and securing a favourable commercial settlement. Acted for a Korean conglomerate in successfully resisting a contractual claim in an ICC arbitration. Acted for minority shareholders against a Singapore-listed manufacturing company in an action for minority oppression in which a favourable commercial settlement was eventually achieved. Acted for a former Member of Parliament and the ex-President of a sporting association in Singapore and successfully securing an acquittal of the charge of criminal breach of trust by an agent, which was upheld on appeal.